Addiction is a holistic brand that has only been around for about twenty-five years but they have become one of the leading brands of hypoallergenic pet foods. While other pet food manufacturers use hydrolyzed proteins and grains to create hypoallergenic recipes, this brand focuses instead on premium protein sources like kangaroo and brushtail to provide a naturally hypoallergenic alternative. This brand is dedicated to changing the lives of pets through the power of holistic nutrition and they have been a leader and innovator in the premium pet food industry for more than two decades. Every recipe is made with the finest ingredients that nature has to offer and this company never compromises on quality. Not only are their products wholesome, natural, and high-quality but they are eco-friendly, eco-sustainable, and better than many of the more traditional pet foods on the market. If you are looking for a high-quality pet food made with novel proteins and wholesome nutrients, look no further than the Addiction dog food brand. The Addiction pet food company was started in 2002 and they follow the tagline, “the healthy food pets crave.” This company was founded by a holistic veterinarian and clinical nutritionist who made it their mission to produce a line of premium-quality, hypoallergenic diets for pets without the use of by-products, fillers, and preservatives. Their products feature premium proteins to prevent allergies all while retaining the natural goodness of locally sourced ingredients. Each one of Addiction’s pet food products is the result of more than 20 years of research and is manufactured in company-owned facilities that are held to the highest standards for quality and safety. Addiction pet foods are not made in the United States, but that doesn’t necessarily make it a bad brand. This company is based in New Zealand which, according to the company website, is “one of the cleanest places in the world to manufacture pet food,” largely because it is free from diseases like Foot and Mouth Disease as well as Mad Cow Disease. This company owns and operates their own manufacturing plant where they hold themselves and their products to the highest standards for quality and safety. They don’t use any by-products, fillers, or preservatives and they prepare their foods using a low-temperature cooking process to retain the valuable nutrients and enzymes in the raw ingredients. The Addiction pet food company is not based in the U.S.A, so you shouldn’t expect all of their ingredients to be sourced from the U.S. This company is based in New Zealand with their manufacturing facility located in the Bay of Plenty and they make every effort to use only the highest quality, natural ingredients that are sustainably sourced and eco-friendly. What this means is that they harvest wild kangaroos and brushtails directly from the New Zealand outback rather than farming traditional meat sources like poultry and cattle. Their products are designed to feature premium proteins and game meats such as free-range venison and wild-caught salmon which not only provide the highest quality nutrition but are also hypoallergenic for most dogs. They also make use of fresh fruits and vegetables and wholesome carbohydrates, avoiding common allergens and artificial additives. In September 2016, the company issued a voluntary recall for 13.8-ounce cans of two wet food recipes due to elevated levels of Vitamin A and a slight variance in the calcium:phosphorus ratio. This recall affected two recipes – New Zealand Brushtail and Vegetables Canned Dog Food Entrée and New Zealand Venison and Apples Canned Dog Food Entrée. You can find this brand of pet food in specialty pet stores and select veterinary offices as well as some local chains and several online retailers. You can also purchase directly from the brand’s website. If you want to save money on this brand, be sure to take advantage of Addiction dog food coupons by looking for special promotions on the brand website. You may also be able to find coupons from independent and online retailers. Because this is a high-quality brand of pet food that uses unique and novel ingredients, you should be prepared to spend more than you would on a typical kibble or canned food. 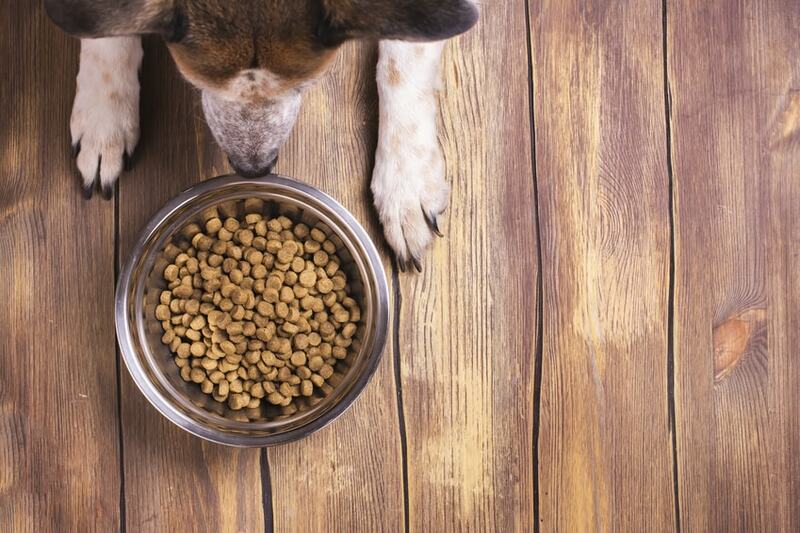 It is important to note that quality is not always correlated with price when it comes to dog and cat foods, but it certainly is when it comes to the Addiction brand. The price for a 20-pound bag of dry dog food ranges from about $50 to about $90, depending on the recipe. You can purchase one of the brand’s raw dehydrated recipes in an 8-pound bag or box for about $75 to $85 or a 2-pound bag for roughly $30. Addiction wet food comes in 13-ounce cans that you can purchase online in a case of twelve for between $40 and $90. If you want to save money on this brand, you may be able to find Addiction coupons online or from your favorite pet food retailer. The Addiction pet food company offers a selection of dry food, raw dehydrated food, wet food, and dog treats. Each of their recipes features a premium-quality protein sourced locally from New Zealand or Australia with wholesome carbohydrates and fresh fruits and vegetables. Their products are full of meat and natural flavor, designed to appeal to your dog’s tastes and to meet his nutritional needs in every life stage. With so many different options to choose from, you can pick a dog food product that suits your dog’s individual tastes and preferences. This brand offers a decent selection of different pet food products divided over several product lines (including a line of treats) and they generally get very positive Addiction dog food reviews. There are a number of factors that set this brand apart from the competition, but the main point is the quality of their ingredients. Not only does this brand use high-quality proteins, but they are novel and hypoallergenic proteins (for most dogs). Though this brand is not based in the U.S., there is no reason to be concerned about the quality or safety of their products. To get an idea of what kind of products this brand has to offer, keep reading for a review of one dry food and one canned food recipe. Addiction Wild Kangaroo & Apples Dry Food Formula – According to the brand website, this Wild Kangaroo & Apples Dry Food Formula “harnesses the natural benefits of wild kangaroo and tangy apples to create a completely holistic meal that helps promote your dog’s nutritional wellbeing.” As you can guess from the name, this recipe features wild kangaroo as the primary protein which is not only nutrient-rich and full of protein, but a novel source of protein and very high in conjugated linoleic acid. This ingredient is combined with fresh apples for antioxidants and other essential nutrients including polyphenols and flavonoids. All in all, this formula is a nutrient- and flavor-rich recipe formulated for dogs in all life stages. The first ingredient in this recipe is, as promised, wild kangaroo meat. Not only is kangaroo loaded with protein, but because it is harvested from the wild it contains only 2% fat and it is free from antibiotics and hormones. It is also important to note that it is dried kangaroo meat which makes it a highly-concentrated source of protein. The second ingredient in this recipe is potato and it is followed by tapioca and peas. All of these are gluten-free and grain-free carbohydrates which are rich in fiber and highly digestible for most dogs. You’ll also find an assortment of fresh fruits and vegetables like apples, blueberries, cranberries, papaya, and mango. The main source of fat in this Wild Kangaroo & Apples Dry Food Formula is chicken fat which is a highly nutritious ingredient. Fat plays an important role in a dog’s diet because it provides a concentrated source of energy and supports his immune system as well as his skin and coat. The fresh fruits and vegetables in this recipe provide supplemental fiber but they are mostly included as natural sources for key nutrients. These natural sources are more biologically valuable than synthetic supplements for your dog but the synthetic supplements do help with nutritional balance. This Wild Kangaroo & Apples Dry Food Formula is formulated to meet the nutritional levels established by the AAFCO Nutrient Profiles for all life stages. Overall, this Addiction Wild Kangaroo & Apples Dry Food Formula is an excellent source of balanced nutrition for dogs in all life stages. Not only does it feature a concentrated source of lean protein, but it is easily digestible and rich in nutrients. This formula is made with a limited number of main ingredients including fresh fruits and vegetables which help to ensure nutritional balance. This recipe could benefit from some chelated minerals and probiotics but, all in all, it is a very good product. Addiction Black Forest Rabbit & Blueberries Entrée Canned Food – This Black Forest Rabbit & Blueberries Entrée Canned Food Formula is described as a combination of “the wild flavors of the forest” in a grain-free, gourmet meal. This recipe features protein-rich rabbit as the primary protein with antioxidant-rich blueberries for flavor and nutrition. In addition to being packed with protein, this formula contains the ideal balance of healthy fats for concentrated energy, immune support, and skin and coat health. Simply put, this recipe is a nutritional powerhouse formulated for dogs in all life stages. As promised, the first ingredient in this recipe is fresh rabbit meat. Rabbit is a novel source of protein for most dogs which also makes it hypoallergenic – it is also a complete source of protein which means that it contains all of the essential amino acids your dog needs. In addition to its protein content, rabbit is also a good source of key nutrients like potassium, phosphorus, zinc, and iron. The second ingredient in this recipe is broth which is included to maintain the high moisture content of the recipe. Moisture is important in a dog’s diet to keep him hydrated and to support his healthy digestion. The third ingredient in this Black Forest Rabbit & Blueberries Entrée Canned Food Formula is sweet potatoes, a complex carbohydrate and an excellent source of energy and dietary fiber. In addition to being rich in nutrients and fiber, this ingredient is gluten-free, grain-free, and highly digestible for most dogs. The fourth ingredient is liver which, though it comes from an unnamed source, gives no indication that it is an ingredient of poor quality. In fact, it is very rich in nutrients as well as protein and health fat. The remaining ingredients in this product consist primarily of nutritional supplements. Fresh fruits and vegetables are more valuable as natural sources for vitamins and minerals, but synthetic supplements can still be used to ensure nutritional balance. This Black Forest Rabbit & Blueberries Entrée Canned Food Formula is formulated to meet the nutritional levels established by the AAFCO Nutrient Profiles for all life stages. Overall, this Black Forest Rabbit & Blueberries Entrée Canned Food Formula is a high-quality source of balanced nutrition for dogs in all life stages. This recipe features protein-rich rabbit which is also a good source of nutrients as well as sweet potatoes for gluten-free and grain-free carbohydrates. It is worth noting that this recipe has a select number of main ingredients which, combined with the fact that rabbit is a novel protein, makes this recipe a good choice for dogs who suffer from food allergies or sensitivities. This formula does rely fairly heavily on synthetic supplements, however, and none of the minerals appear to be chelated. All in all, however, it is a good product.